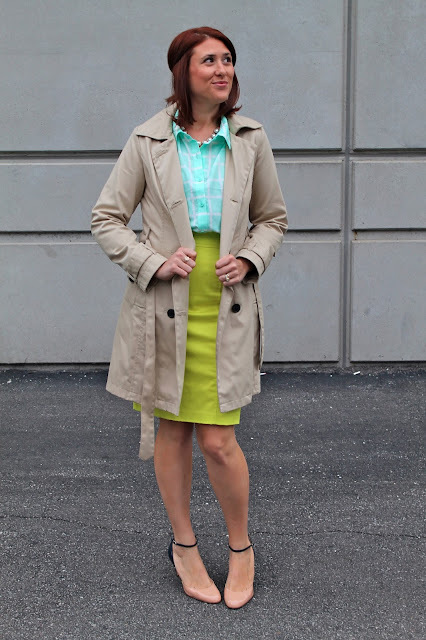 I found this neon yellow skirt at Target, and I immediately thought about wearing it with this mint blouse. It just so happens that I've been hanging onto this blouse just waiting for it to meet its perfect outfit match! They came together with these gorgeous J. Crew heels with a teeny pop of neon detail. Even better, I found them on major sale! omg! such an amazing mix!! Yes please to that skirt! I would never think to wear those two colours together, but they look great! a very fresh and spring time color combo! lovely! I loveee these colors together, neon yellow is one of my favorite colors! <3 This makes me miss spring!